What is it that makes us only realise on Sunday night or Monday morning that we may have spent too much money on the weekend? If you’re meeting a good friend, instead of going out, stay in and the both of you could cook. It’s cheaper, it’s warmer inside and the food will probably taste better. If they aren’t a good friend or it’s just a short meet up then meet for Starbucks instead. Meeting More Than A Friend? If you’re meeting someone who is more than a friend, go somewhere you’ve never been so it becomes more of an experience than a cost. The weekend means more free time to browse in shops or stay at home and scroll down your favourite retail websites. Sometimes when we have no plans at all, it can feel therapeutic to shop. Try to only get items you’ve budgeted for and don’t let the nearest sale hypnotise your finances. Sales can make us feel like we are better off because it’s cheaper but that’s not usually the case. How Much Are You Taking Out? There’s something called the Denomination Effect, which show that smaller denominations of money get spent more carelessly than larger denominations. It’s easy to forget that the “change” in your pocket may easily add up to £12. We are more likely to want to break a £20 note than a £50 one. The moment that £50 is broken it can automatically become “change”. A £20 can have the same affect, the only difference is that breaking into a £50 is a lot more costly. So think about how much you want to spend and each place you plan to spend it. 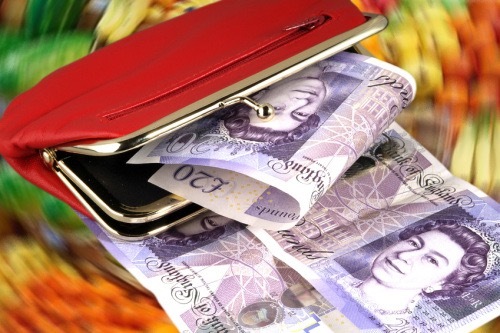 If you are going somewhere on Saturday that cost £30 & somewhere on Sunday that cost £40, it may be a good idea to carry cash and leave the money for each occasion at home until you are going to use it. Getting organised means you know where you are going and where your money will be going with you. Some weekends you may feel life is for living so you want to splurge and live to the fullest. Splurging happens to everyone at one point or another. Although tomorrow is not promised, it’s good to know you’re ready for it just in case. Refined Currency wishes you a great weekend!